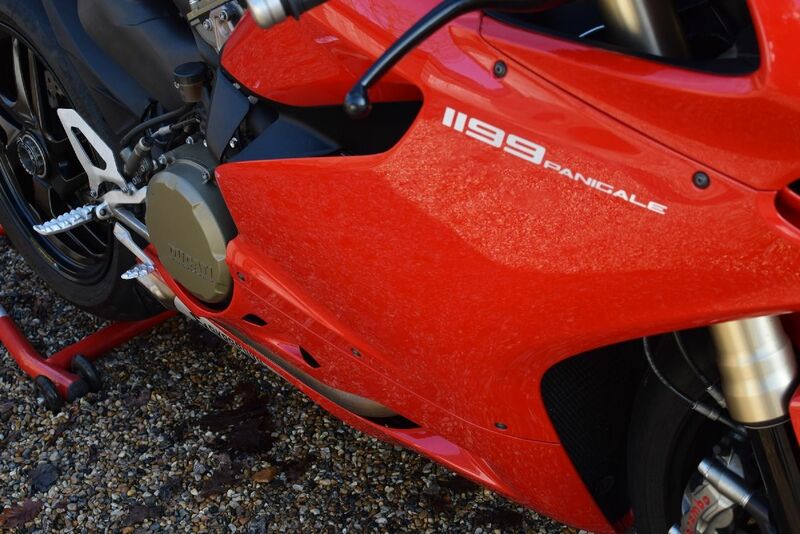 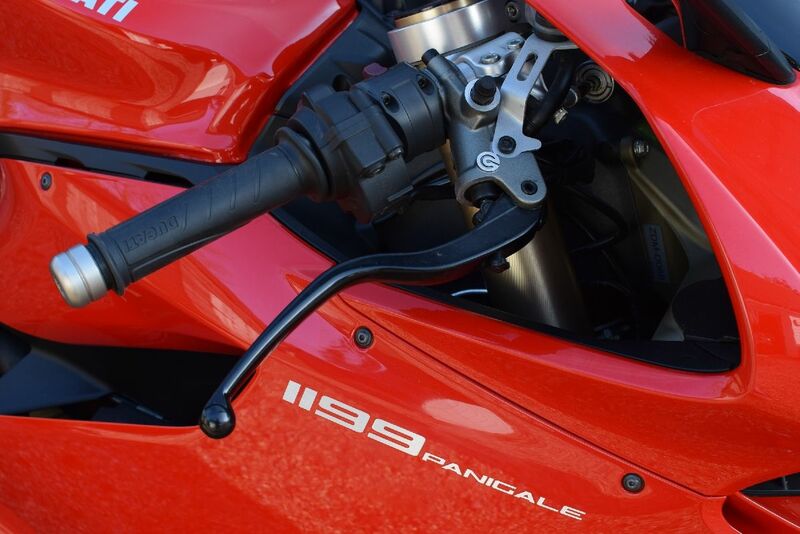 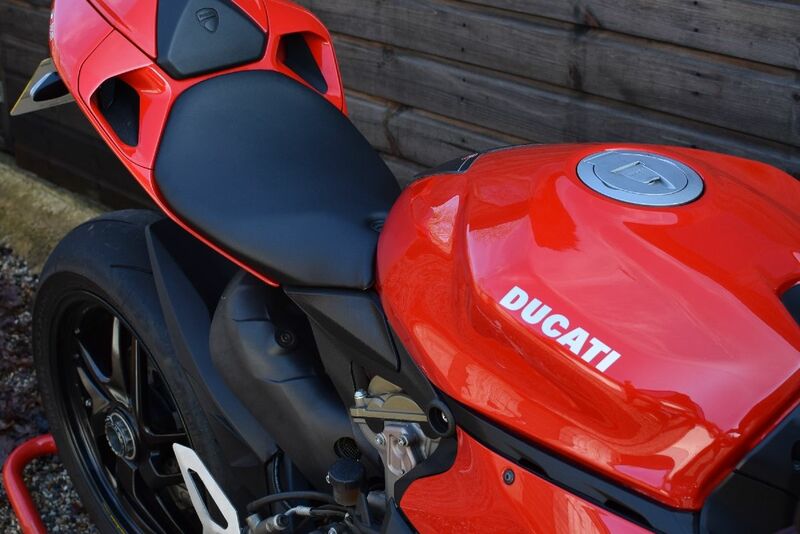 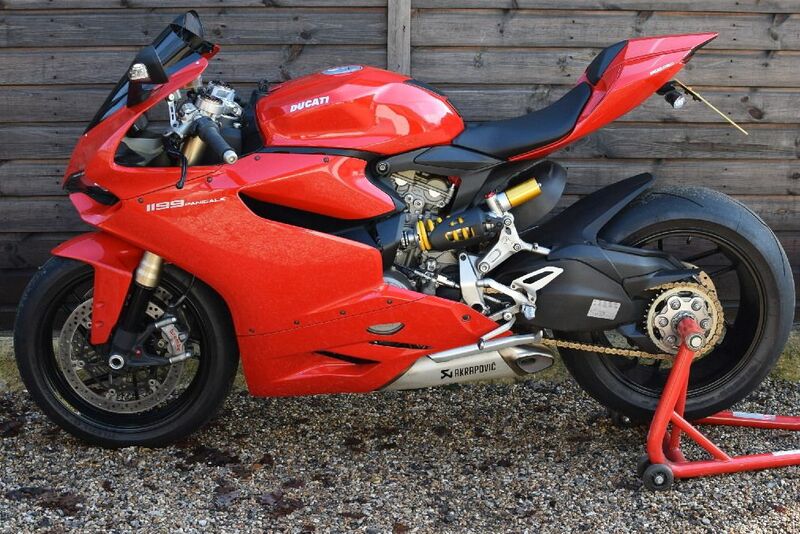 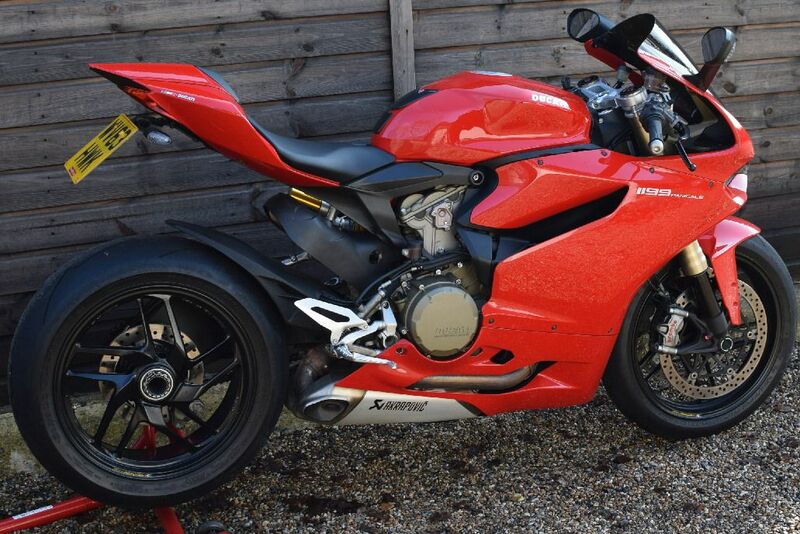 2013 63 registered Ducati 1199 Panigale ABS in Ducati Rosso Anniversario. 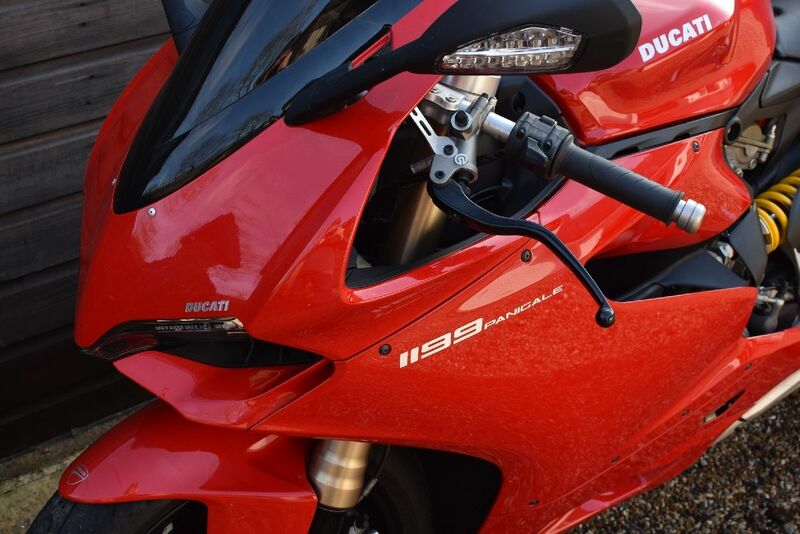 8200 miles with full and up to date service history including it’s original stamped service book with 9 dealer stamps and service bills/invoices. 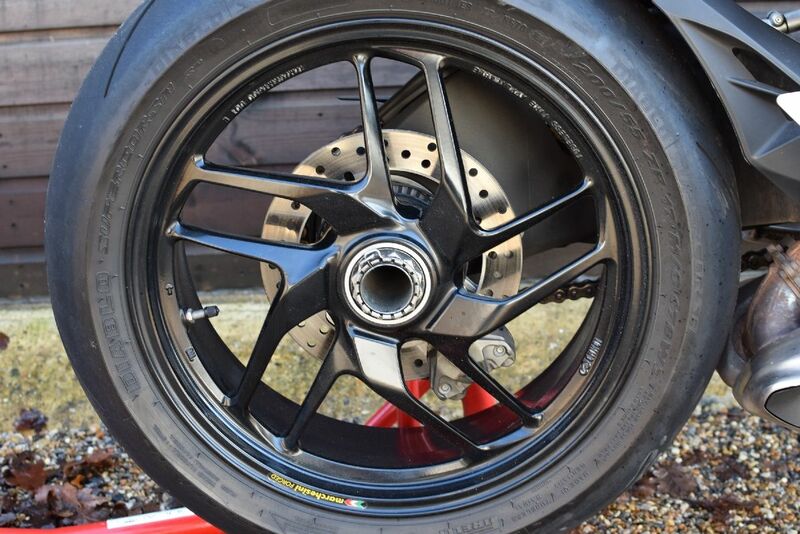 Just had Shell Advance Ultra fully synthetic lube service and a new front Pirelli Diablo Rosso Supercorsa SP with excellent matching 200/55 section rear. 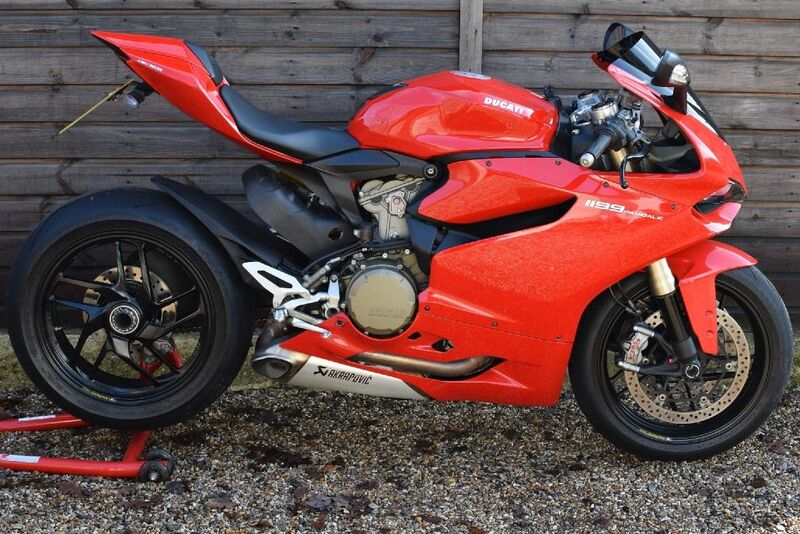 These are an utterly glorious machine, a modern generation Ducati using their recent approach to aluminium monococque chassis design where the engine itself acts as a stressed member. 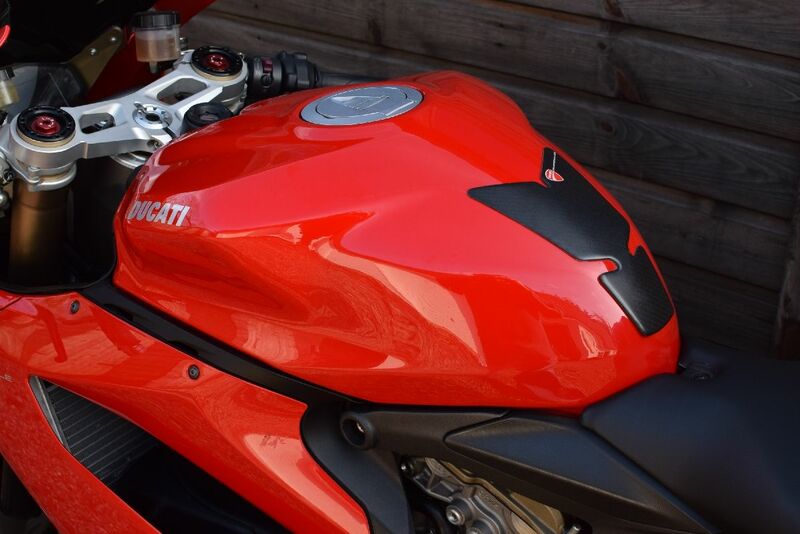 Bristling with high technological electronic and mechanical componentry the specification includes ABS – Bosch 3-level Electronic Antilock Braking System, DTC – Ducati Traction Control, EBC – Engine Braking Control, DQS – Ducati Quickshifter, RbW – Ride by Wire throttle control, Switchable engine maps – Rain, Sport, Wet, Full adjustable Marzocchi 50mm dia. 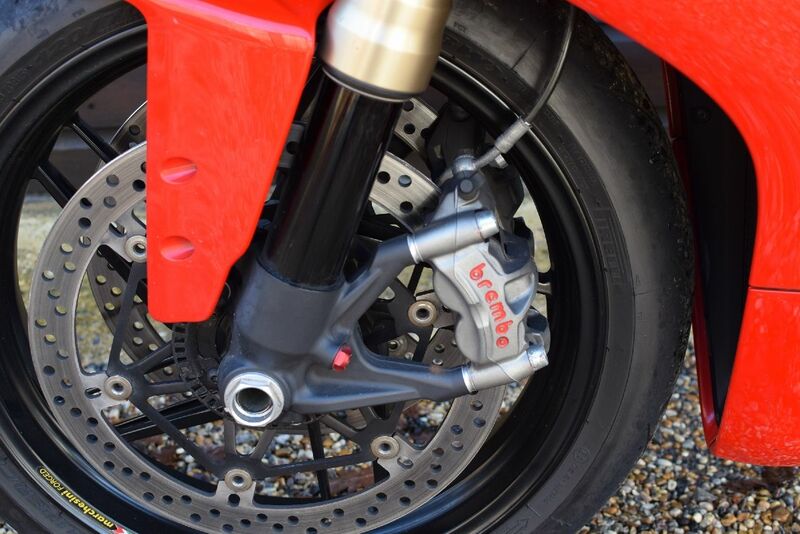 BPF front suspension, Full adjustable Sachs rear suspension, Brembo Monobloc M50 radial calipers, 330mm dia. 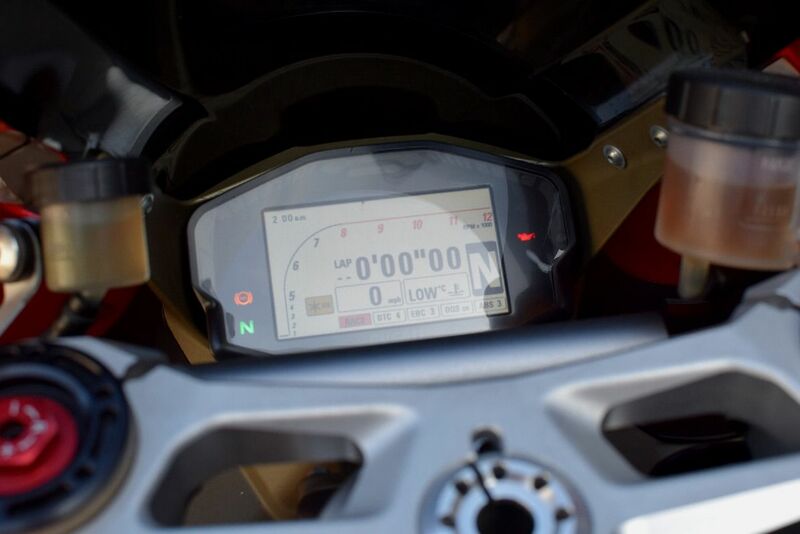 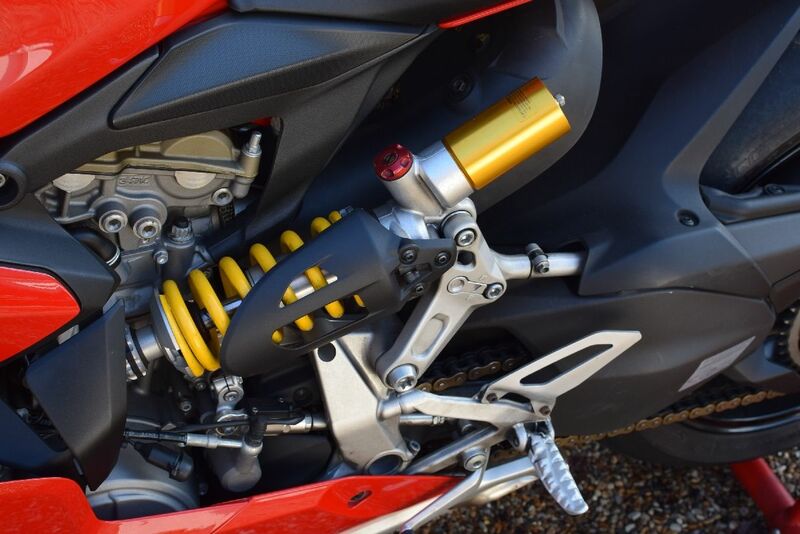 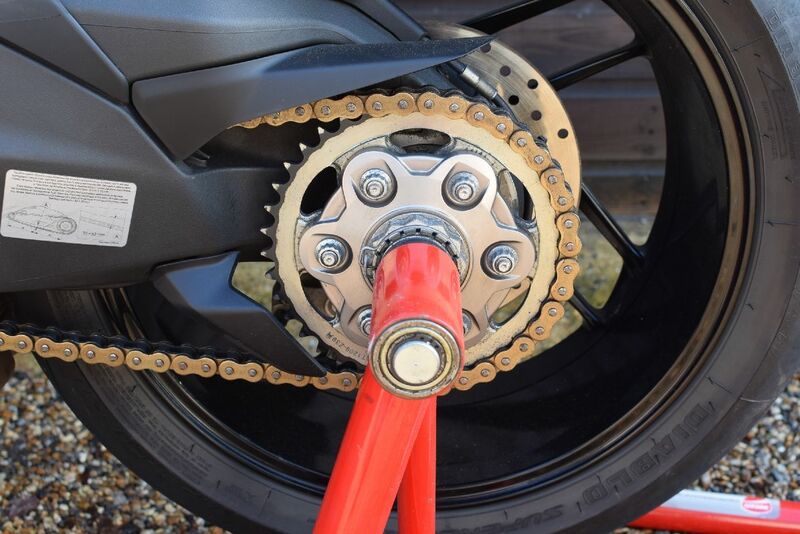 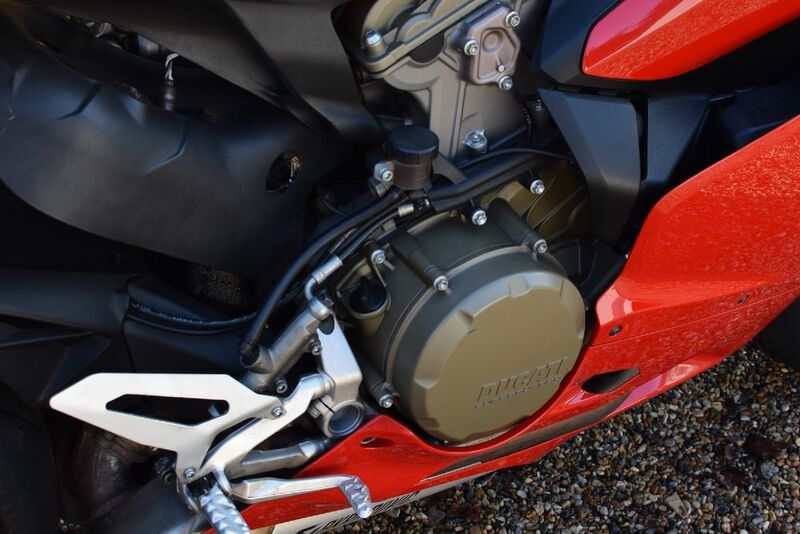 floating discs and radial master cylinder, Lightweight 10 spoke wheels, Steering damper, MOTO GP derived LCD instruments and Ducati engine immobiliser. 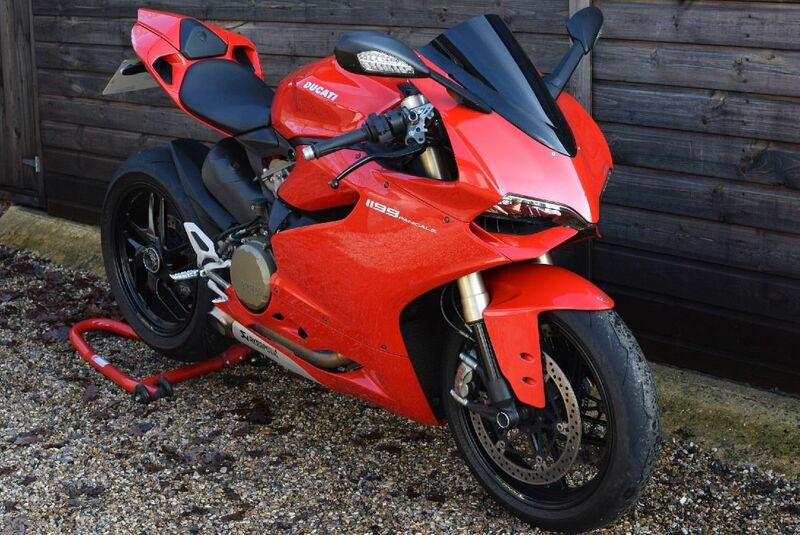 This bike is fairly standard and has a Ducati Corse tank pad, Tinted double bubble screen, R&G radiator guard and Evotech EP tail tidy. 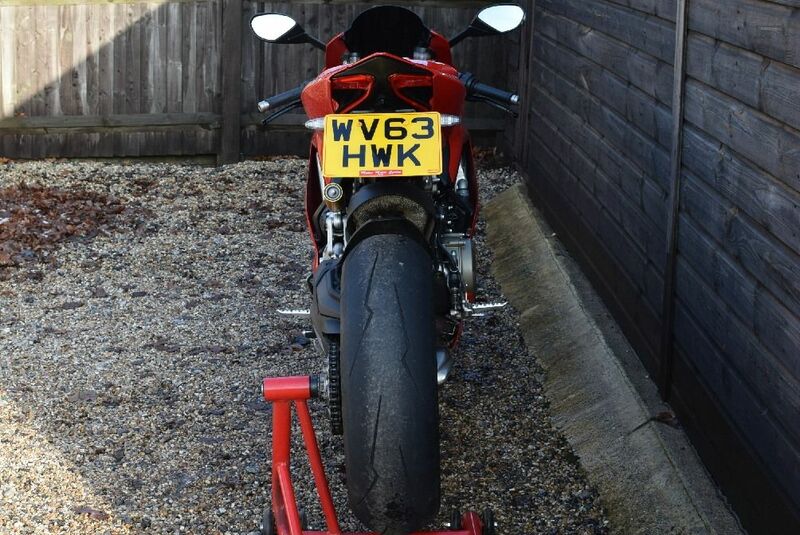 The exhaust is standard and the ‘Akrapovic’ stickers are just that, stickers only. 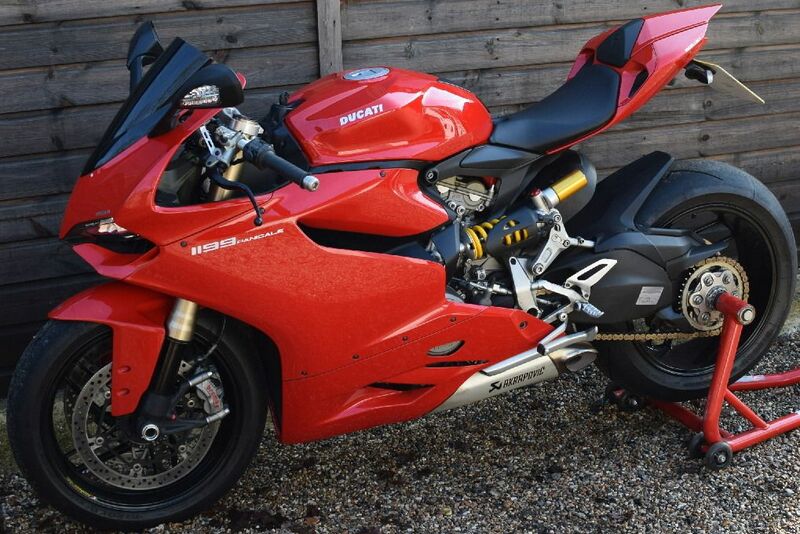 Beautiful bike, in excellent condition, sounds and looks awesome, a special machine, with monstrous performance from its 195bhp / 98 lb ft L-Twin Superquadro motor. 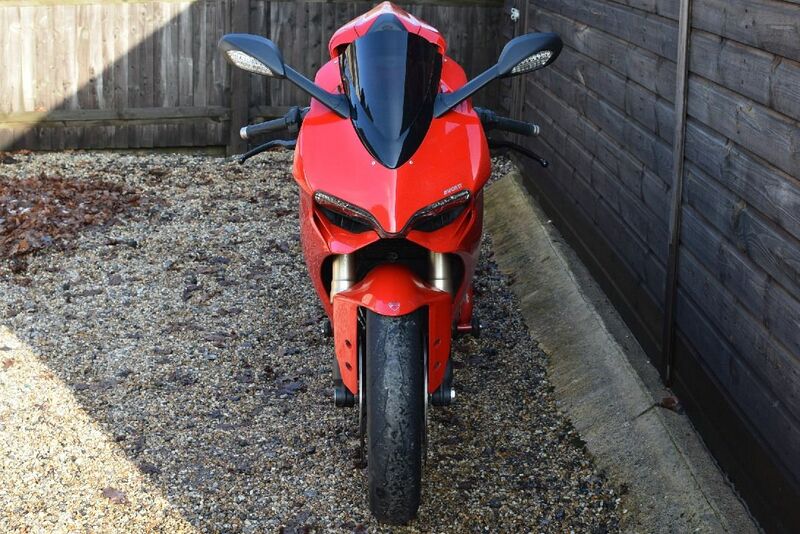 All books/history/documents/keys present.